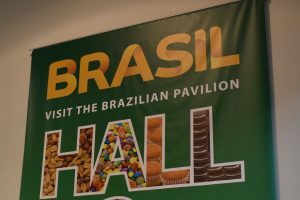 Speaking to Confectionery Production at the event, sales manager Julian Lucas said there had been “an excellent response” to the new variety, which was showcased on its event newcomer stand in Cologne. 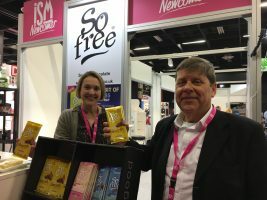 Plamil, which is regarded as Europe’s oldest vegan company, creates and supply chocolate solutions for many other manufacturers, has created its low-sugar product as part of its So free range. 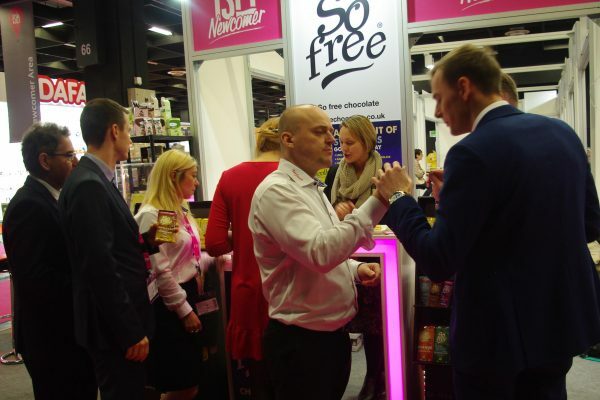 The Kent-based business said its So Free Smooth bar meets both the desires of all consumers to reduce sugar consumption while meeting the needs of vegans, and the firm believed that ISM was an ideal platform to launch its latest bar, among dozens of confectionery companies showcasing confectionery at the event. As the Kent-based business explained, increasing consumer awareness of sugar reduction topics has often conflicted with the desire to enjoy confectionery ranges. Consumers have generally remained faithful to their indulgence moment with sugar based chocolate, while manufactures have grappled with reducing sugar in products to maintain brand values. 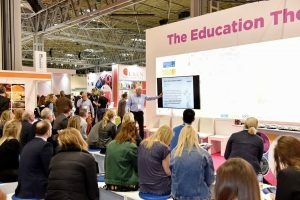 In addition, the challenge of catering for the ever increasing numbers of vegan consumers is one of the buzz topics at ISM and ProSweets, with a variety of chocolate and confectionery ranges on show. 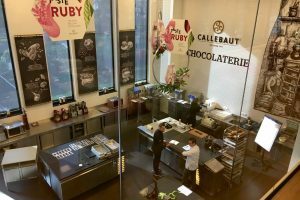 As the company added, creating chocolate that is perceived as being healthier is a highly desirable concept, but labelling ‘no added sugar’ on such ranges may automatically lead many consumers to have reduced enjoyment expectations, and the loss of their indulgence moment is often a step too far. Meanwhile, for many examples of vegan category chocolate on supermarket shelves, they still remain sugar-based products, so while it is dairy free the sugar issue remains.